Many people have only ever seen magic on television. Where the magician may be performing close-up magic, but through a camera lens. 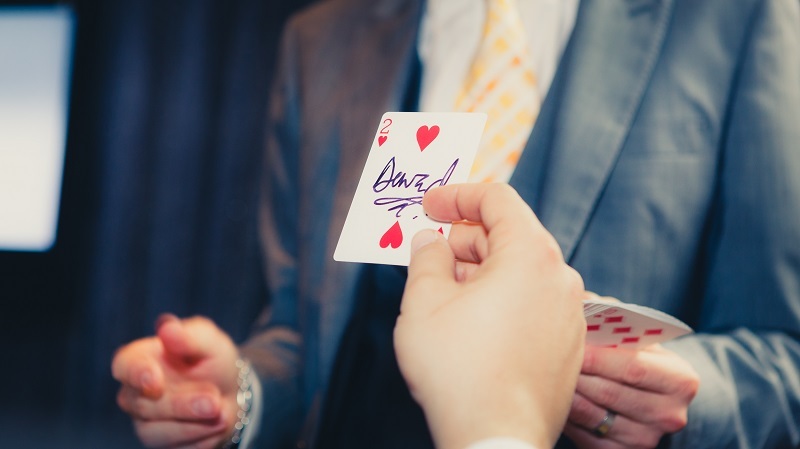 Booking a live close-up magician to entertain your guests and clients provides the opportunity to witness sleight of hand, with their eyes acting as the camera. Richard is a slick, stylized, sleight of hand expert who has to seen to be believed. 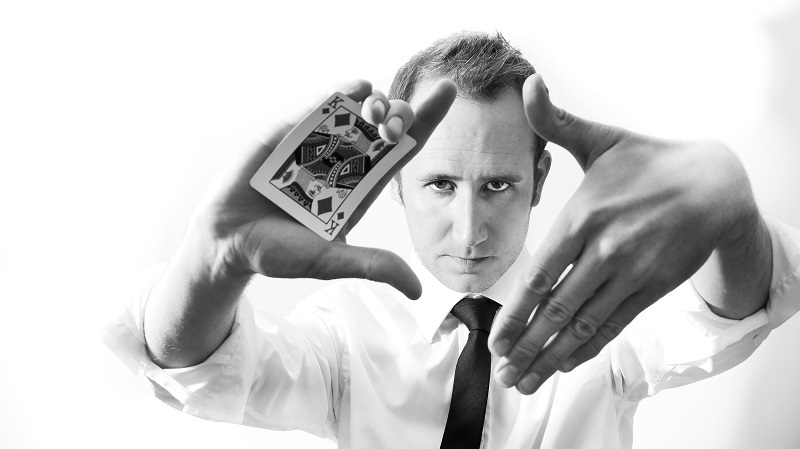 He has been professionally performing his dynamic brand of magic for 10 years with on going success. At just 19, Richard won 1st place at the ‘British Magical Championships’ in his category. Following the success of his stage manipulation act, at 20 he was asked to perform at the ‘Best Of British Magic’ show. 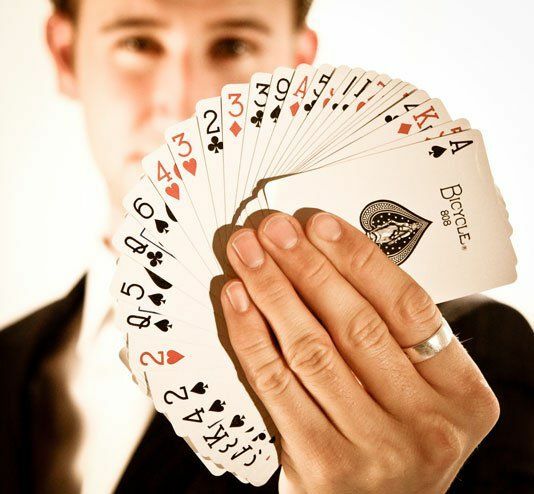 Richard has since devoted his time to perfecting the art of close-up magic and card sharking, performing all over the country and at all types of functions. Richards magic lead him to make a television series in which he performed as part of a double act. ‘Playing Tricks’, produced Endemol, received great success. Close-up illusion is Richard’s main passion as people often find a miracle that happens 1 foot away more incredible than one 20 feet away! Audience’s witness some of the fastest sleight of hand and misdirection techniques when watching a deck of cards in Richards hands. He will guarantee you will be left asking yourself how that card appeared in his mouth! 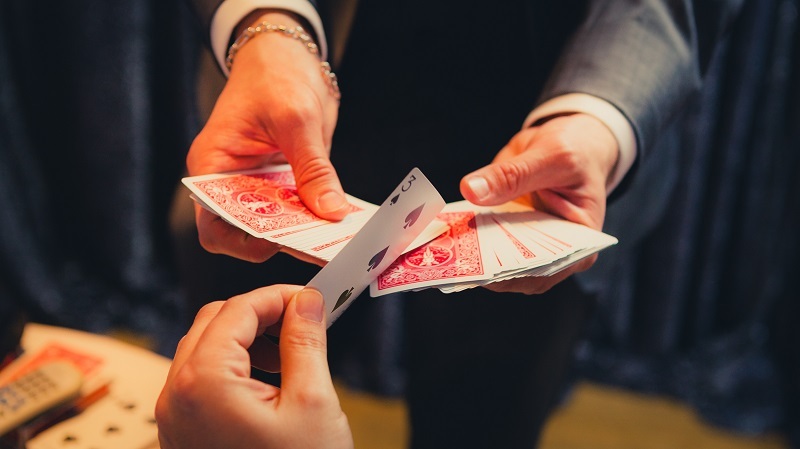 Table Magic is the most popular form of close-up magic and is ideal for banquets, VIP dinners or any sit down event. Richard will move between tables, engaging the guests to join in and leaving them with something to talk about for the rest of the night. Providing your guests not only a conversation point but a chance to see magic in its true form, up close and personal without mirrors. Corporate magic has seen a popular increase in the last 5 years. With various companies and promotions turning to this brand of entertainment as an enforcer to advertising and help create a lasting memory. It is one of the very few brands of entertainment that can be highly customized to tie in with your needs as a business. 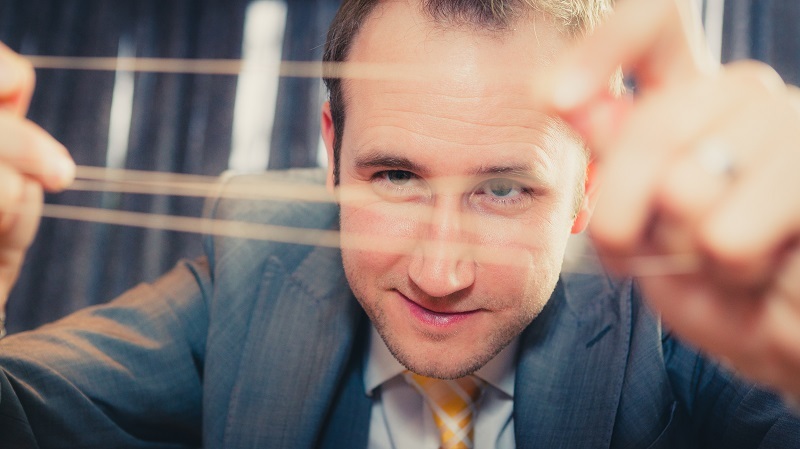 Richard has invented, adapted and branded magic routines based around new products and promotions for blue chip companies such as O2, T-Mobile and Fanta. It can turn your stand at a trade show into an attraction that draws people in, being entertained whilst informed. If you combine the message with the trick you have a powerful angle! If you are looking for something a little different to make your wedding day extra special, why not book Richard? Not only is it a chance for your guests to be entertained, it also serves as a good way for your guests to break the ice and meet new faces.